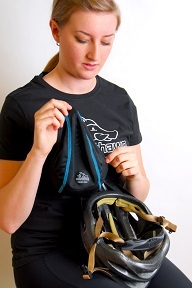 1) Hold helmet in front of you, upside down. 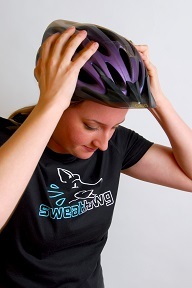 2) Align the front of your SweatHawg with the helmet’s front edge. 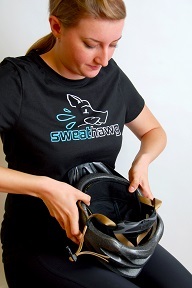 3) Hold the sides of your SweatHawg in place with both thumbs. 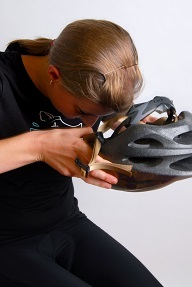 4) Place the helmet on your head (brow first). 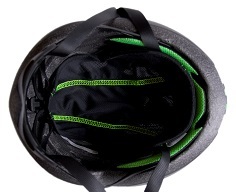 5) Secure your SweatHawg by tightening helmet straps and the helmet liner is secure where you put it, sandwiched between your head and the helmet.